ct ‘Development of a soil carbon map based on NAFORMA and non-NAFORMA datasets for the United Republic of Tanzania’ aimed to map the organic carbon content of the Tanzanian topsoil in support of the UN-REDD programme in Tanzania and the National Forest Resources Management and Assessment (NAFORMA). The project was Norwegian funded and technical support was provided by the FAO. 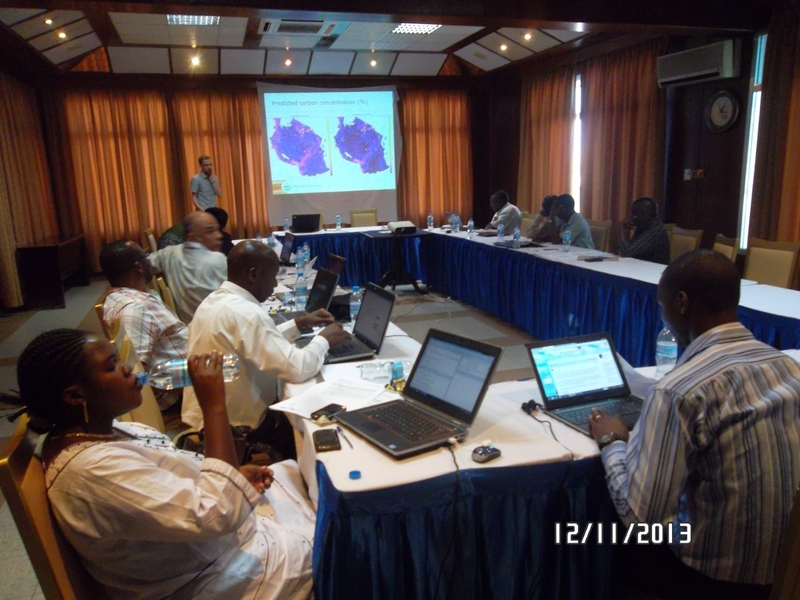 In addition to the development of soil maps, the project had a significant capacity building component. ISRIC trained seven Tanzanian soil and environmental scientists in the theory and use of geostatistics and digital soil mapping during workshops in Wageningen and Tanzania. The project was carried in a collaborative effort with the Tanzania Forest Services Agency (Ministry of Natural Resources and Tourism), Sokoine University of Agriculture, ARI Mlingano (Ministry of Agriculture and Food Security and Cooperatives), Department of Forest and Non-Renewable Natural Resources (Ministry of Agriculture and Natural Resources Zanzibar) and African Soil Information Service (AfSIS). 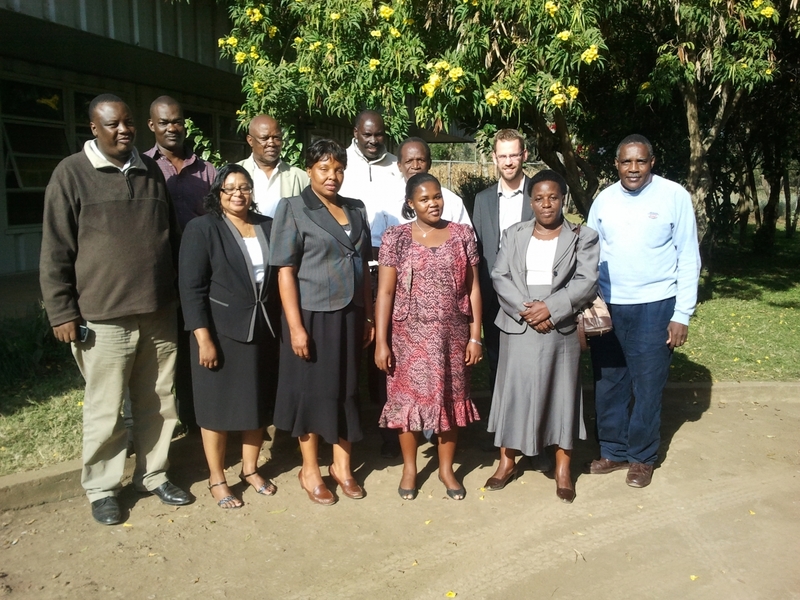 The project kick-off meeting took place on 21 August 2013 in Arusha, Tanzania, hosted by AfSIS. 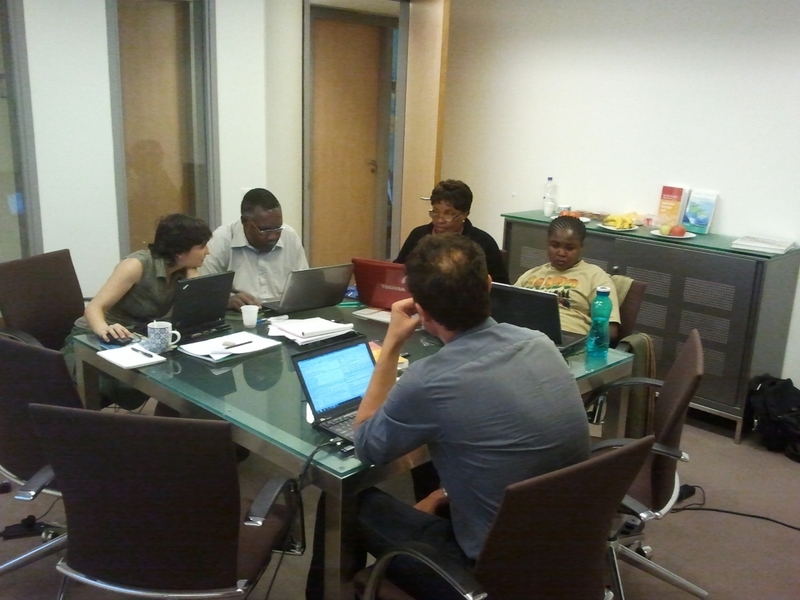 A three-day training workshop for three Tanzanian scientists was organized at the ISRIC facilities in Wageningen, The Netherlands from 9-11 September 2013. A two-day training session, in which seven Tanzanian scientists participated, was held from 11-12 November at the facilites of the Tanzania Forest Services Agency in Dar-Es-Salaam, Tanzania. 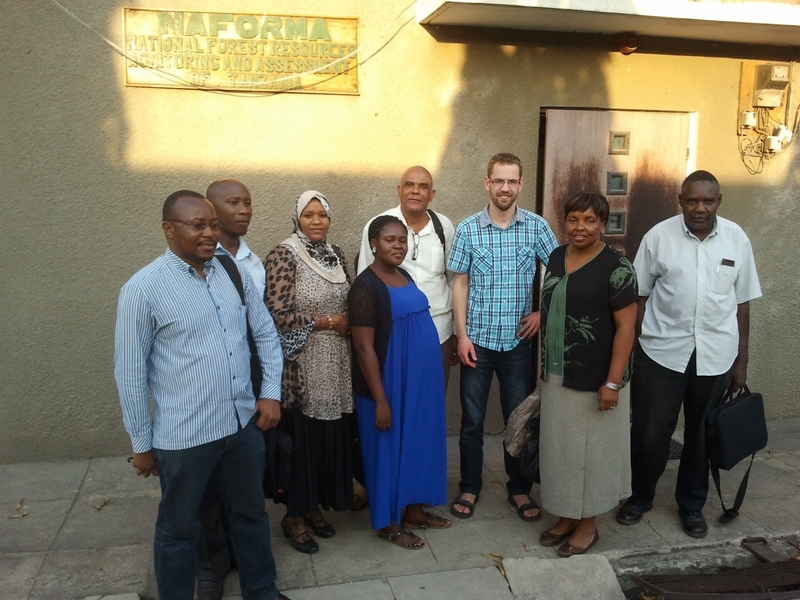 This training was followed by a one-day meeting in Dar-Es-Salaam, where the maps and mapping methodology were presented to a group of Tanzanian scientists and stakeholders. Target depths for mapping were 0-10 cm, 10-20 cm, 20-30 cm, and 0-30 cm. The soil point dataset, with over 3,200 observations of soil organic carbon content, used was the most comprehensive dataset collected in Tanzania so far. In addition, a total of 37 environmental data layers were used as covariates. The soil organic carbon content was predicted with regression-kriging at 250 m spatial resolution.